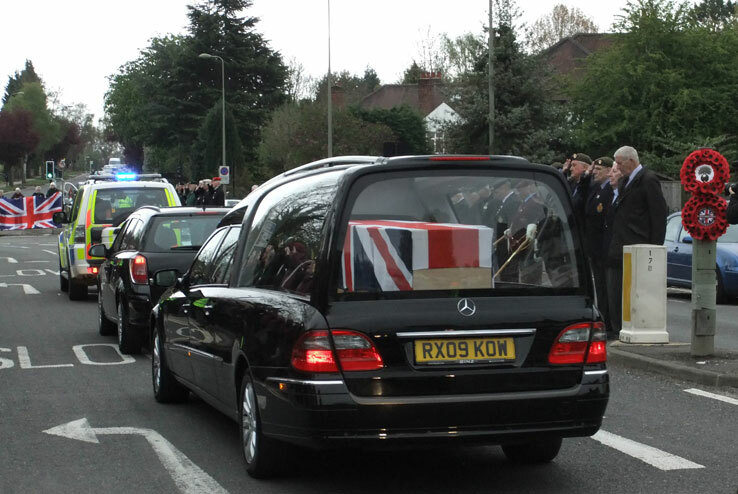 as the funeral cortège made its way to the John Radcliffe Hospital. We here at the Final Turn stood true and bold to honour Guardsman Mike Roland. 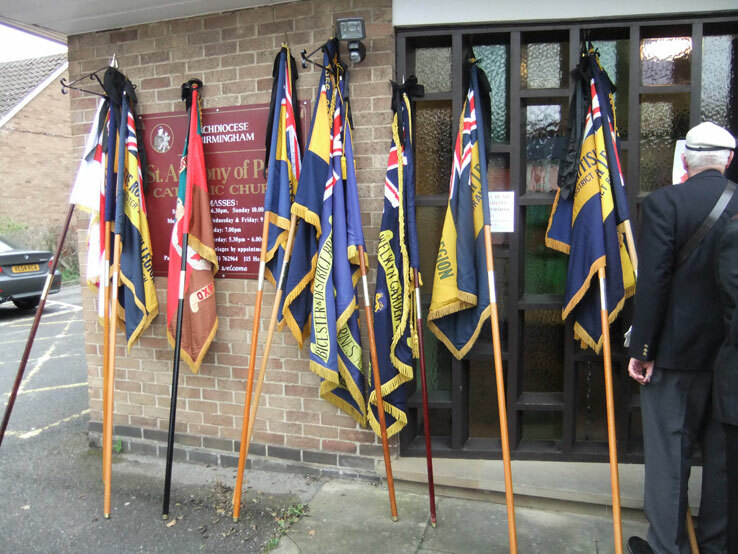 Royal British Legion standards paraded were: Bicester & Launton, Chalgrove, Headlington, Henley, Islip, Kidlington, and Kidlington Women’s Section. Service, Corps and Regimental Association standards included: the Grenadier Guards (Bristol), the Coldstream Guards, Canal Zoners (Oxon), Guards Division (Newbury), the Parachute Regiment (Oxford), RAF Police, Royal Navy & Royal Marines (Oxon), the Royal Marines (Bicester and Welwyn Garden City), the Royal Tank Regiment (Oxon), the St George Society, and the Banner of The Royal Dragoon Guards. 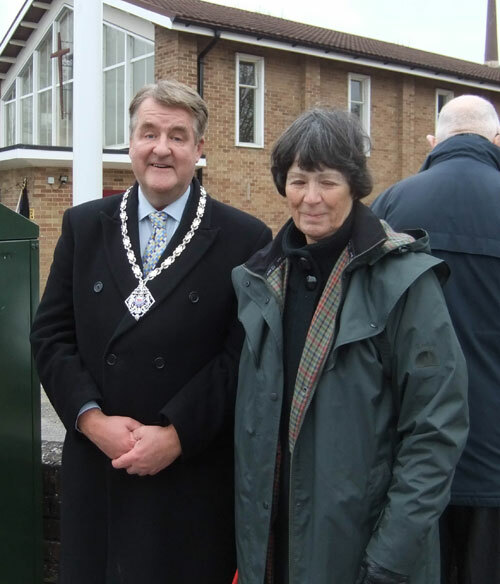 Attending VIPs included the Deputy Lord Mayor of Oxford, Councillor Alan Armitage, Lt Col D. Mead TD and Mr J. Kelly MBE. There were 45 veterans in berets and medals, plus 35 others from all three services. The public support from the Oxford people was at least 250 strong at The Final Turn, and many more coming off the Oxford ring road into the Marston area and all the way up Headley Way to us at the Final Turn. 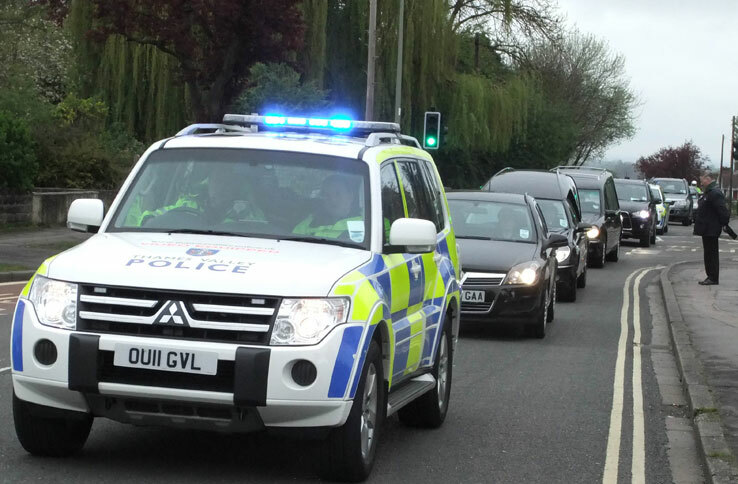 The Thames Valley Police were there, under the command of Chief Inspector C. Agger. The County Council did a fine job of traffic control and crowd information. The Red Cross provided a vehicle and two crew and St John’s Ambulance fielded a crew. Mary and John were there from the church, John having half-masted the Union flag early in the morning. 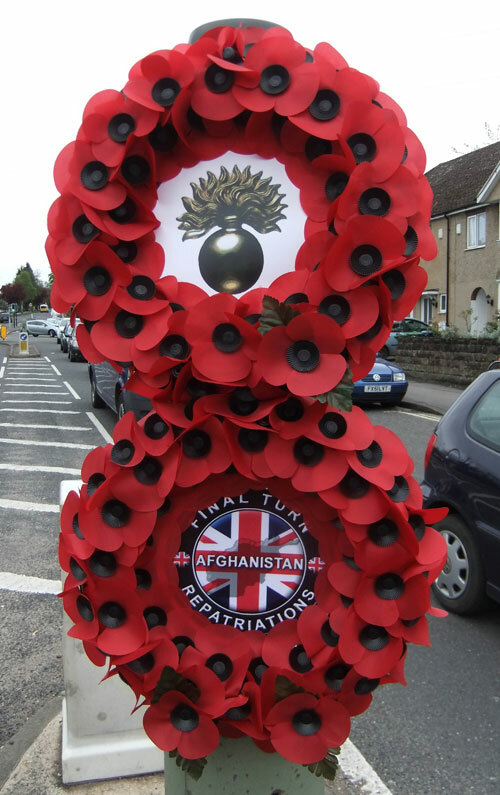 We thank as always John Tierney (former Queen’s Dragoon Guards) for sending in the tribute for this soldier. This was placed on the church door as always. A new RBL Biker came to join us: Tony McCawley (former WO2, Royal Logistics Corps), now living in the Brackley area. The standard bearer of the Grenadier Guards Association (Bristol) and his escorts had been at Windsor in the morning for their own Regimental Parade, then came to Oxford to join us here: this was their first visit to us here at the Final Turn. We thank them for their support. The weather was dry but cold. The cortège passed us by at 1705 hrs. 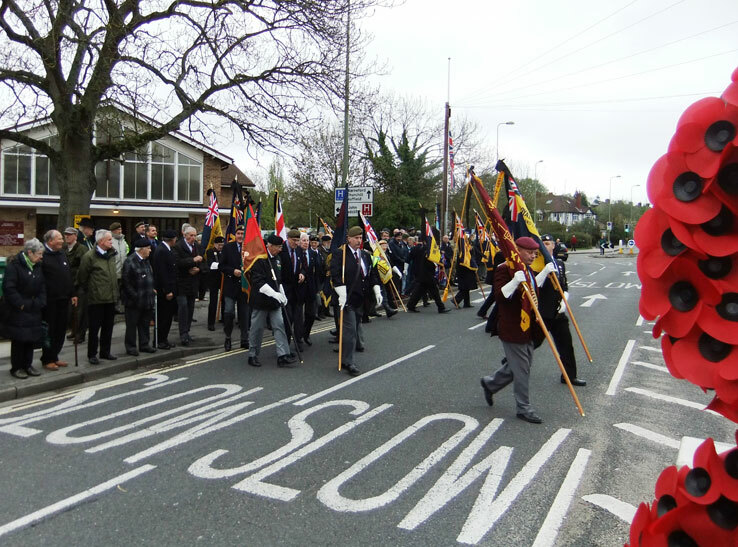 The Parade Marshal was G. Whelan (former Para) and his 2i/c was J. Lewendon (former RA).